In 2008, music major, singer and keyboardist Nick Petricca '09 founded the band Walk the Moon, which shot to fame in 2011. See what other music majors are doing after Kenyon. An organization founded by Kenyon students held its inaugural Notewave Festival this year, which explored the science of sound. Read more about the festival. Read more in the Alumni Bulletin. The group rehearses daily to prepare programs of both a cappella and accompanied music for Kenyon concerts and tours. Our electronic classroom is equipped with 23 work stations, each with notation, sequencing, and ear-training software. As SXSWedu producer, music major Greg Rosenbaum '10 takes education in an innovative direction. Read more about Greg's work. 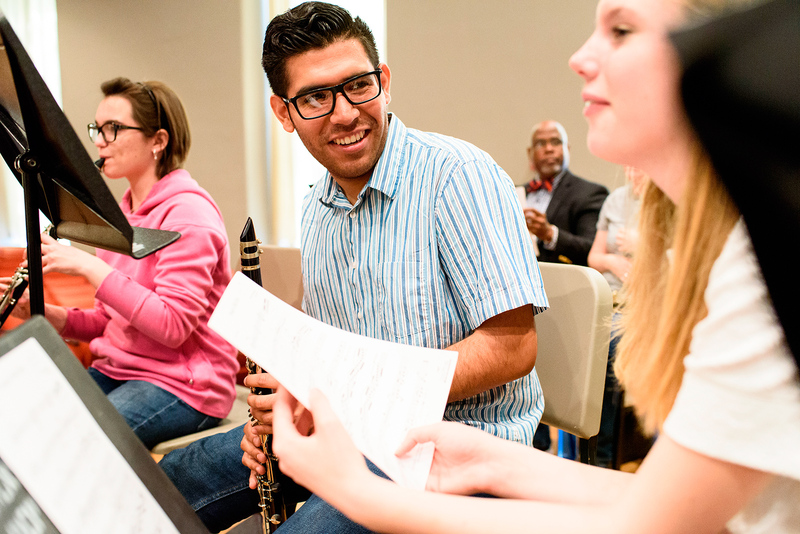 The Music Department has its own scholarship, awarding up to $15,000 per year. The Department of Music at Kenyon aims to increase a student's sense of the richness and importance of music in the human experience. Learning how to listen to and study music can expand and enrich students' interior lives; making music individually can enhance their own creativity; and making music together touches the communal aspects of life. Students learn to synthesize information, to think critically, to formulate and communicate ideas (written, verbal and musical), to use quantitative skills and analyze data, to coordinate musical thought, emotion and physical movement, and to work creatively.